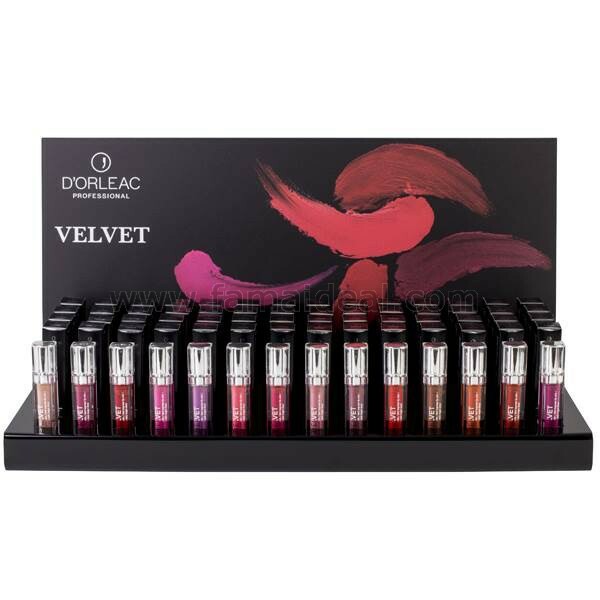 Countertop display made of black polystyrene designed to expose the full line of velvet lip colors. It allows an orderly storage of 56 units for sale. Includes one tester per color. Brand based in Barcelona that offers a wide range of professional makeup products with a long history.